A fierce intellectual debate broke out in October 1976 when Edward Said, the Palestinian-born Parr Professor of English at Columbia University and a partisan of trendy French post-modernists, wrote an essay for the New York Times Book Review arguing that Western scholars of the Middle East represented "an unbroken tradition in European thought of profound hostility, even hatred, toward Islam." In his diatribe, Said singled out Bernard Lewis, then the Cleveland E. Dodge Professor of Near Eastern Studies at Princeton, as the de-facto leader of this nefarious school of "Orientalism." Hardly one to shrink from a challenge, Lewis, one of the century's most eminent scholars of Islam, responded by defending vigorously the moral integrity and intellectual successes of the Orientalist tradition, that unique effort by members of one civilization to comprehend and appreciate another. A witness to this debate might have expected Lewis's colleagues in the field to stand by him, not just because he was defending their work but because Said, for his part, clearly lacked the academic credentials that specialists of any kind usually demand of one who opines on their subject. But they did not; to the contrary, Middle East specialists overwhelmingly accepted Said's critique, and even expanded on it. Whole new sub-fields were developed to flesh out his arguments (for example, by applying them to gender, something Said barely mentioned); and Orientalism acquired a meaning so intensely pejorative that "neo-orientalist" is today the worst insult one can hurl at a scholar in the field. Still, the battle is not entirely over. Martin Kramer, a highly talented former student of Lewis's who now heads the Dayan Center at Tel Aviv University, continues the not-entirely-lonely effort to preserve and extend several centuries' worth of Western scholarship. 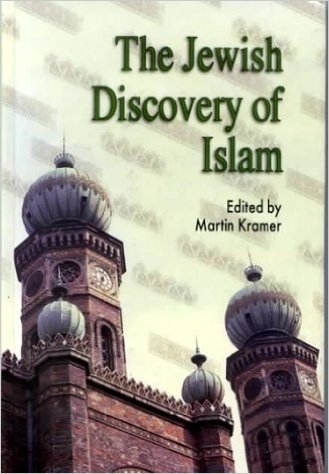 In The Jewish Discovery of Islam, a book dedicated to his teacher, Kramer has brought together a collection of nine essays by Middle East scholars to which he has added his own insightful introduction, all focusing on a neglected aspect of this tradition. In helping to develop 19th-century European attitudes toward the Middle East, Jewish scholars, Lewis has pointed out, brought a very different sensibility to bear from that of their Christian counterparts. Unaffected by "nostalgia for the Crusades," and untouched by the bitterly hostile feelings toward Islam and Muslims that prevailed in Europe, Jews, in Lewis's words, played "a key role in the development of an objective, nonpolemical, and positive evaluation of Islamic civilization." More broadly, they were "among the first who attempted to present Islam to European readers as Muslim themselves see it and to stress, to recognize, and indeed sometimes to romanticize the merits and achievements of Muslim civilization." Martin Kramer quotes these words in his introduction as he offers his own survey of illustrious Jewish figures - scholars and non-scholars alike - who had a major impact on Europe's perception of Islam. Again and again he is able to point up the dramatic contrast between them and the often crabbed, racially-charged, and theologically hostile attitude toward Islam taken by many Christians. Seen from today's vantage point, indeed, when Muslim-Jewish relations are so often tense and even violent, the almost joyously positive tenor of this older Jewish encounter seems nothing short of astonishing. Benjamin Disraeli (1804-81), for example, later to become prime minister of Great Britain, once thought of volunteering for the Ottoman army. Ignaz Goldziher (1850-1921), perhaps Europe's single most influential student of the Middle East, went so far as to pray as a Muslim in Cairo, recounting that "never in my life was I more devout, more truly devout." Some actually converted: Muhammad Asad, né Leopold Weiss of Lvov and Vienna (1900-92), advised the Saudi king and served as Pakistan's ambassador to the United Nations before settling down to publish an influential English-language translation of the Qur'an. The facts established by Kramer and his contributors have a number of implications. For one thing, as Jacob Lassner writes here, by presenting Islam more objectively, not to say empathetically, Jewish scholars turned the whole field of comparative religion "from religious apologetics ... into a respected discipline." And this empathetic approach has prevailed until this very day, making a mockery of Said's grand theory of Orientalist hostility to Islam. One Arab scholar goes to far as to credit Goldziher with creating "a kind of orthodoxy which has retained its power until our own time." By contrast, the more "Christian" approach, which did indeed see Islam as a rival and regard Middle Eastern culture as inferior, and on which Said focused to the utter neglect of the German-Jewish school - has long been not just defunct but despised and repudiated. Ordinary Muslims now living in the West also owe much to the Jewish scholars. As Martin Kramer puts it, "the respect for Islam which Jews had done so much to disseminate not only survived in Europe, but served as the basis for Europe's tolerance of Muslim minorities" after World War II. And he goes on to make the same point in symbolic terms, "The mosque-like synagogues erected by Jewish communities in the 19th century prepared Europe to accept the real mosques which Muslim communities erected across the continent in the 20th." But there are also a number of unpleasant ironies lurking in this tale. One hope of the early Jewish scholars of Islam was to generate sympathy for Jews as well as Muslims. As Kramer writes in his introduction, a corollary of their celebrations of medieval Islamic civilization - a civilization in which Jews had played no small role - was the implicit suggestion that, were contemporary Jews allowed to participate fully in European society, they would enhance it no less than they had enhanced Baghdad or Cordova, peaks of human achievement worthy of anyone's admiration. But even as they helped lay the groundwork for tolerance of Muslims and respect for Islam, these "pro-Islamic Jews" (the term is Bernard Lewis's) failed when it came to improving attitudes toward their own people. This can be seen still today, when the ideology associated with Western multiculturalism and third-worldism - two ostensibly outward-looking movements whose lineage can be traced in part to the work of the pro-Islamic Jews - remains inimical to Israel and Jews alike. Muslims themselves have played a critical role in this process. Having adopted the romantic conceptions propagated by Jewish scholars, and having incorporated them into the Islamic self-image, they then turned them into weapons against Zionism and Jews. As Lewis has written, the myth of a time when Jews enjoyed equal rights with Muslims "was invented by Jews in 19th-century Europe as a reproach to Christians - and taken up by Muslims in our own time as a reproach to Jews," particularly the Jews in the state of Israel who have declined to assume their "rightful" - i.e., subordinate - place in the Islamic Middle East. It is an old story, this story of good will rewarded with enmity, but seldom has it been illuminated with such bitter clarity.